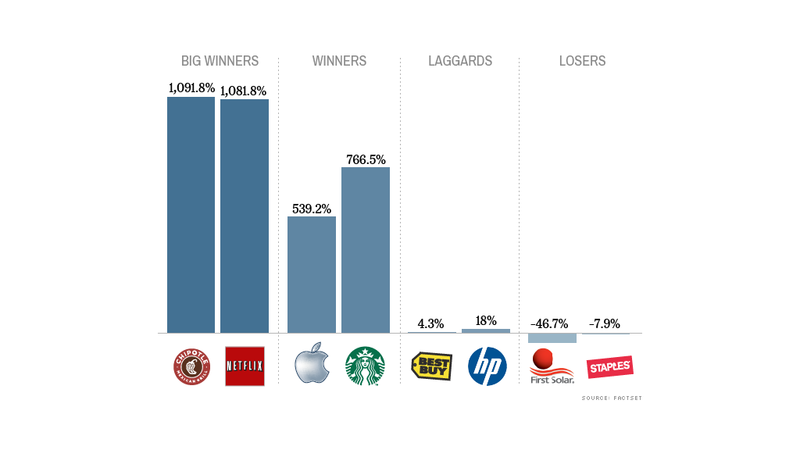 The past five years have been very good to some blue chip companies. But some missed the stock market rally. It's been five years since the stock market hit its low point of the financial crisis and Great Recession. While the current bull market is already longer than average, most market strategists expect stocks to have another good year in 2014. Stocks gained last week, with the S&P 500 hitting new highs, despite the ongoing crisis in Ukraine. The Dow Jones industrial average is less than 1% away from its all-time high. But with little economic and corporate earnings news on tap this week, it may be tough for stocks to move much higher. So instead of our usual preview of the days ahead, we've decided to take a look back at the best and worst performing S&P 500 stocks of the past five years. Online travel companies Priceline (PCLN) and Expedia (EXPE) are two of the biggest winners of the bull market. Priceline shares have surged 1,646% and Expedia has soared 1,182% during the past five years. Fast-growing consumer stocks have also done well, including Chipotle (CMG), Whole Foods (WFM) and Starbucks (SBUX). Wynn Resorts (WYNN), the casino company, and Netflix (NFLX) were big winners as well. Those stocks also gained at least 1,000%. Big tech companies Apple (AAPL) and Amazon (AMZN) had slightly less spectacular gains. They're in a group of stocks that have gained between 500% and 1,000% since March 2009. Ford (F) and Delta Airlines (DAL), two companies that were hit hard during the recession, are also among the companies that have far outpaced the S&P 500's gain of nearly 180%. But there were a few stocks that have been left behind. Avon Products (AVP), Hewlett-Packard (HPQ) and Cliffs Natural Resources (CLF) were big laggards. 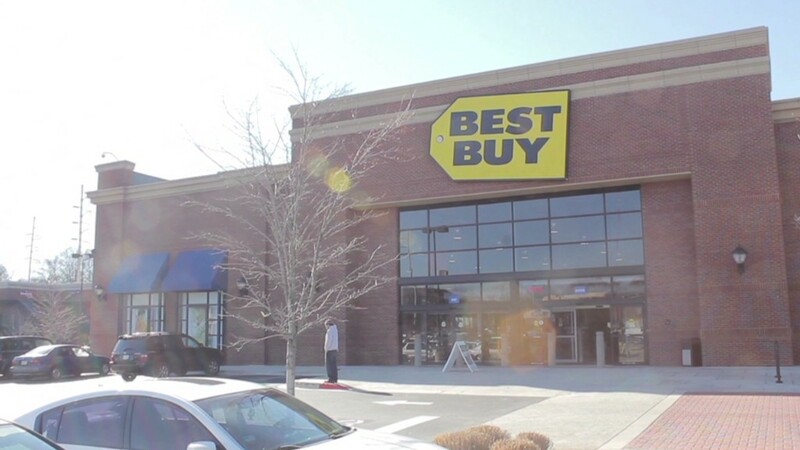 Best Buy (BBY), which was one of the best performers in 2013, is still up only 4% in the past five years. And a few stocks actually missed the rally entirely. Shares of Staples (SPLS), which recently announced plans to close hundreds of stores, have fallen. First Solar (FSLR) shares are down 47% over the past five years, giving it the dubious distinction as the bull market's biggest loser.